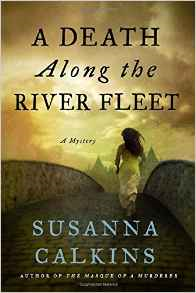 Susanna Calkins writes superb historical mysteries set in 17th century London. Her knowledge of the period gives her Lucy Campion books incredible atmosphere without ever overwhelming the mystery. We talk about the inspiration for her first mystery, among many other things. Spoiler: it was her research into murder ballads. That’s a thing!